Silly Yaks is a dedicated gluten free manufacturer, manufacturing and packing in a 100% gluten free environment. Using high-quality ingredients, their hand made products are free of artificial colours, flavours and preservatives, Silly Yaks do not knowingly use genetically modified inputs and avoid the cheap fats which can be health damaging. Their products are low in saturated fat, do not contain fillers or bulking agents, and are 100% gluten free and wheat free. Additionally their premises are peanut free. 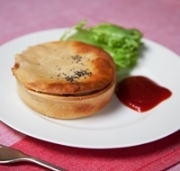 Silly Yaks prepare a delicious range of gluten free food, including breads and rolls, biscuits, sweet pastries, savoury pastries (large variety), pizza bases pizza bases in sizes from 9" through to 13". For full details about each product click here to enter the Silly Yaks website.